Organize Your Classroom With This Lion Pencil Holder! https://www.ellisoneducation.com/12188/lion-pencil-holder Lion Pencil Holder Lesson#12188 Check out this fun way to keep students pencils from lion around. The Lion Pencil Holder is an easy project for students to create. It’s a great way to keep all the pencils in the same place, and students will enjoy creating this fun project. Grade Level: : K–2, 3–5 Curriculum: English Language Arts Fine Arts & Visual Arts Supplies Used: Bigz Die- Giraffe by Laura Kelly Item #A112173, Bigz Die- Elephant #4 by Laura Kelly Item #A11272, Bigz Die- Alligator #2 by Laura Kelly Item #A11267, Bigz Die- Lion #2 by Laura Kelly Item #A11274, SureCut Die- Cube 3-D-XL Item #15907-X Other Supplies Used: Adhesive, Cardstock, Construction paper, Crayons, colored markers or pens, Dried black-eyed peas or beans, Scissors, Stir or craft stick Standards: This lesson plan was brought to you by the Ellison Education Team. Don’t miss out on any updates! Blog: http://www.ellisoneducation.com/blog Facebook: https://www.facebook.com/EllisonEduca... Pinterest: https://www.pinterest.com/ellisonedu/ YouTube: https://www.youtube.com/user/ellison Instagram: https://www.instagram.com/ellisonedu/ Twitter: https://twitter.com/Ellison_us Standards English Language Arts English Language Arts Standards-Reading: Foundational Skills-Grade 2 Phonics and Word Recognition: CCSS.ELA-Literacy.RF.2.3 Know and apply grade-level phonics and word analysis skills in decoding words CCSS.ELA-Literacy.RF.2.3.E Identify words with inconsistent but common spelling-sound correspondences. Source: corestandards.org/ELA-Literacy/RF/2/ Fine Arts-Visual Arts NA-VA.K-4.5 Reflecting Upon and Assessing the Characteristics and Merits of Their Work and the Work of Others Achievement Standard: Students understand there are various purposes for creating works of visual art Source: educationworld.com Since 1977, Ellison Educational Equipment, Inc. has been the recognized global leader of shape-cutting machines, curriculum-based designs and accessories for the education market. The company was founded by an educator and has built its reputation developing high-quality, reliable products that reinforce innovative teaching principles to address all subjects for grades K-12. From memorable bulletin boards, report covers and manipulatives to reinforcing games, flash cards and lessons plans, Ellison shapes education in many profound ways. DIY Vocabulary Puzzle Lesson Plan! https://www.ellisoneducation.com/12218/vocabulary-puzzle-spanish-english Hola! Teach your students Spanish or any other language with the help of our Puzzle piece die! Follow along to see how Sandi creates this project. Vocabulary Puzzle Spanish/English Lesson #12218 Overview A puzzle is a great way to practice foreign vocabulary words. Grade Level:Pre-K-K, 1-2, 3-5 Curriculum:Fine Arts & Crafts, Foreign Language, Science Introduction Three-part puzzles are created with the English word on the beginning Puzzle Piece, a picture on the middle Puzzle Piece and the Spanish word on the end Puzzle Piece. The puzzle will work for any language conversion or even for several conversions if extra middle pieces are added to accommodate another language. Objective Students will practice English–Spanish word recognition while enjoying puzzle fun. 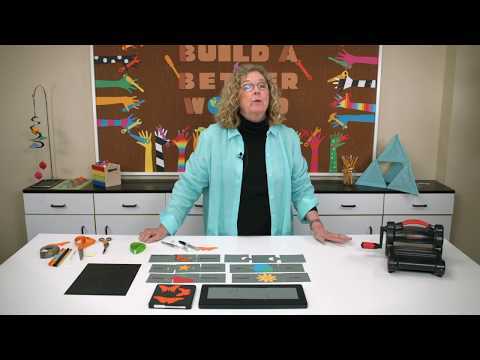 Supplies Used Adhesive, Cardstock or construction paper, Crayons, colored markers or pens, Letter stickers, Scissors Check out this fun way to practice any foreign language vocabulary words by creating Puzzle Pieces. By doing this craft it allows students to decorate the puzzle pieces they are going to be using to study. These pieces are a great visual aid and study tool for state capitals, vocabulary and any other school subjects. Grade Level: K–2, 3–5 Curriculum: English Language Arts-Foreign Language Supplies Used: Bigz XL Die- 3 Piece Puzzle Item #A11249, Sizzix Bigz Die- Butterflies #4 Item #A11003 Other Supplies Used: Adhesive, Cardstock or construction paper, Crayons, colored markers or pens, Letter stickers, Scissors Standards: This lesson plan was brought to you by the Ellison Education Team. Don’t miss out on any updates! Blog: http://www.ellisoneducation.com/blog Facebook: https://www.facebook.com/EllisonEduca... Pinterest: https://www.pinterest.com/ellisonedu/ YouTube: https://www.youtube.com/user/ellison Instagram: https://www.instagram.com/ellisonedu/ Twitter: https://twitter.com/Ellison_us English Language Arts NL-ENG.K=12.9 Multicultural Understanding Students develop an understanding of and respect for diversity in language use, patterns and dialects across cultures, ethnic groups, geographic regions and social roles. Source: educationworld.com Since 1977, Ellison Educational Equipment, Inc. has been the recognized global leader of shape-cutting machines, curriculum-based designs and accessories for the education market. The company was founded by an educator and has built its reputation developing high-quality, reliable products that reinforce innovative teaching principles to address all subjects for grades K-12. From memorable bulletin boards, report covers and manipulatives to reinforcing games, flash cards and lessons plans, Ellison shapes education in many profound ways. A Hands-On Lesson In Geometry With Paper And Rubber Bands! Easy Monthly Calendar With Die Cuts! https://www.ellisoneducation.com/12216/monthly-calendar Keep your class on track with this awesome calendar that helps track due dates, birthdays and more! Overview Keep track of classroom activities with a classroom calendar. Grade Level:Pre-K-K, 1-2, 3-5, 6-8 Curriculum:English Language Arts, Fine Arts & Crafts Introduction Help students remember everything from a Friday spelling test to a school assembly with the creation of a classroom calendar. Objective Students will be able to study for tests and plan for field trips and school assemblies with a classroom calendar displaying student information. Supplies Used Adhesive, Cardstock, Construction paper, Pen, Pencil, Ruler, Scissors, White correction pen Instructions The teacher will die-cut the materials for student use prior to the lesson. Turkey Die Cut Placecards: An Easy DIY! https://www.ellisoneducation.com/12186/turkey-place-cards Turkey Place Cards Lesson #12186 Create standing Turkey place cards to decorate your Fall holiday table at school or at home! Works perfect for the student’s desks. Lets the students get creative and decorate their very own turkeys. Grade Level: K–2, 3–5, 6–8 Curriculum: Fine Arts & Visual Arts Supplies Used: Bigz Die- Turkey Item #A11280, Bigz Die Set- Fall/Winter (4 Dies) Item #A11288 Other Supplies Used: Adhesive, Cardstock or construction paper, Crayons, colored markers or pens, Letter stickers, Scissors, White pen Standards: This lesson plan was brought to you by the Ellison Education Team. Don’t miss out on any updates! Blog: http://www.ellisoneducation.com/blog Facebook: https://www.facebook.com/EllisonEduca... Pinterest: https://www.pinterest.com/ellisonedu/ YouTube: https://www.youtube.com/user/ellison Instagram: https://www.instagram.com/ellisonedu/ Twitter: https://twitter.com/Ellison_us Fine Arts-Visual Arts NA-VA.K-4.5 Reflecting Upon and Assessing the Characteristics and Merits of Their Work and the Work of Others Achievement Standard: Students understand there are various purposes for creating works of visual art Source: educationworld.com Since 1977, Ellison Educational Equipment, Inc. has been the recognized global leader of shape-cutting machines, curriculum-based designs and accessories for the education market. The company was founded by an educator and has built its reputation developing high-quality, reliable products that reinforce innovative teaching principles to address all subjects for grades K-12. From memorable bulletin boards, report covers and manipulatives to reinforcing games, flash cards and lessons plans, Ellison shapes education in many profound ways. https://www.ellisoneducation.com/12215/emojis-pencil-bag Emojis Pencil Bag Lesson #12215 Check out this Emoji Pencil Bag craft, fun for all ages. Emoji lovers will enjoy creating their own fun Emoji faces. 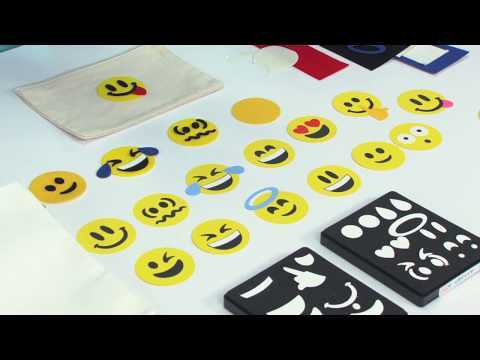 Don’t stop at creating an Emoji bag, these felt Emojis work perfect for t-shirts, throw pillows and all fabric items. 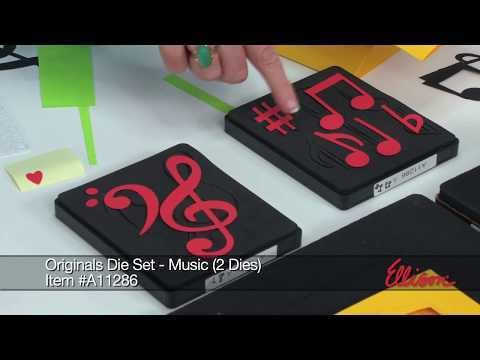 Grade Level: K–2, 3–5, 6–8 Curriculum: Fine Arts & Visual Arts Supplies Used: Originals Die Set- Emojis (3 Dies) Item #A11287 Other Supplies Used: Pencil bag, Self-adhesive felt Standards: This lesson plan was brought to you by the Ellison Education Team. Don’t miss out on any updates! Blog: http://www.ellisoneducation.com/blog Facebook: https://www.facebook.com/EllisonEduca... Pinterest: https://www.pinterest.com/ellisonedu/ YouTube: https://www.youtube.com/user/ellison Instagram: https://www.instagram.com/ellisonedu/ Twitter: https://twitter.com/Ellison_us Fine Arts-Visual Arts NA-VA.K-4.6 Reflecting Upon and Assessing the Characteristics and Merits of Their Work and the Work of Others Achievement Standard: Students understand there are different responses to specific artworks Source: educationworld.com Since 1977, Ellison Educational Equipment, Inc. has been the recognized global leader of shape-cutting machines, curriculum-based designs and accessories for the education market. The company was founded by an educator and has built its reputation developing high-quality, reliable products that reinforce innovative teaching principles to address all subjects for grades K-12. From memorable bulletin boards, report covers and manipulatives to reinforcing games, flash cards and lessons plans, Ellison shapes education in many profound ways. Musical Note Invitation Inspiration For Back To School! Make These Pom Pom Animals With Your First Graders! 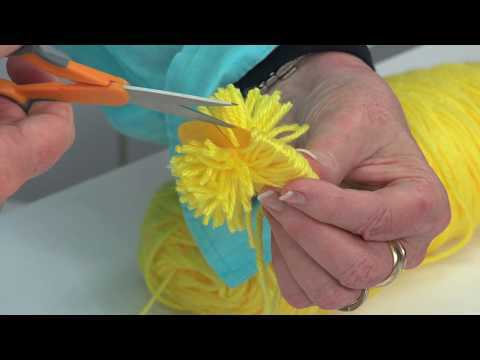 https://www.ellisoneducation.com/12213/pom-pom-pals Pom-Pom Pals Lesson #12213 Lets have some fun with yarn and create Pom-Pom Pals. 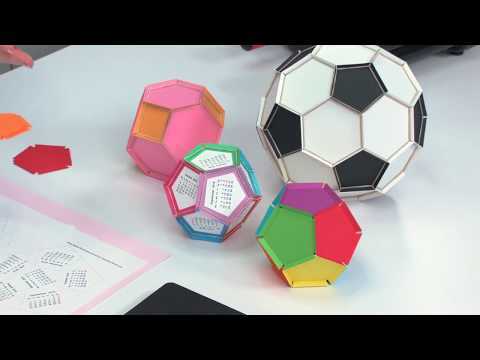 Fun, easy to make craft that will have students wanting to design more of their own. Pick up some yarn and start creating your very own Pom-Pom Pal. Grade Level: K–2, 3–5 Curriculum: Fine Arts & Visual Arts Supplies Used: Originals Die- Pom-Pom Pal Bunny Item #A11263, Originals Die- Pom-Pom Pal Penguin Item #A11265, Originals Die- Pom-Pom Pal Snowman Item #A11266, Originals Die- Pom-Pom Pal Duck Item #A11264 Other Supplies Used: Adhesive, Cardstock or construction paper, Crayons, colored markers or pens, Scissors, Yarn Standards: This lesson plan was brought to you by the Ellison Education Team. Don’t miss out on any updates! Blog: http://www.ellisoneducation.com/blog Facebook: https://www.facebook.com/EllisonEduca... Pinterest: https://www.pinterest.com/ellisonedu/ YouTube: https://www.youtube.com/user/ellison Instagram: https://www.instagram.com/ellisonedu/ Twitter: https://twitter.com/Ellison_us Standards NA-VA.K-4.2 Using Knowledge of Structures and Functions Achievement Standard: Students use visual structures and functions of art to communicate ideas Source: educationworld.com Since 1977, Ellison Educational Equipment, Inc. has been the recognized global leader of shape-cutting machines, curriculum-based designs and accessories for the education market. The company was founded by an educator and has built its reputation developing high-quality, reliable products that reinforce innovative teaching principles to address all subjects for grades K-12. From memorable bulletin boards, report covers and manipulatives to reinforcing games, flash cards and lessons plans, Ellison shapes education in many profound ways. Turn Favorite Foods Into A Classon Lesson Plan With This Project! Pair Up These Mittens In A Fun Antonym Game! https://www.ellisoneducation.com/12185/mitten-antonyms Mitten Antonyms Lesson #12185 Make learning antonyms fun for students using our brand new mittens die! 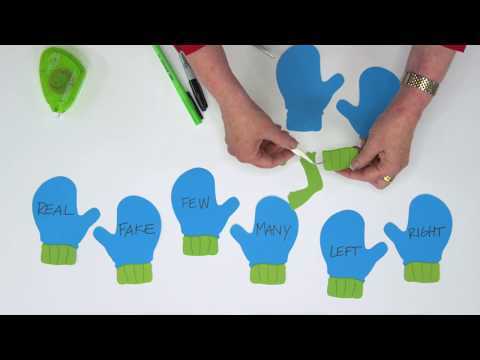 Create sets of antonyms for your students to pair together (just like real mittens do.) 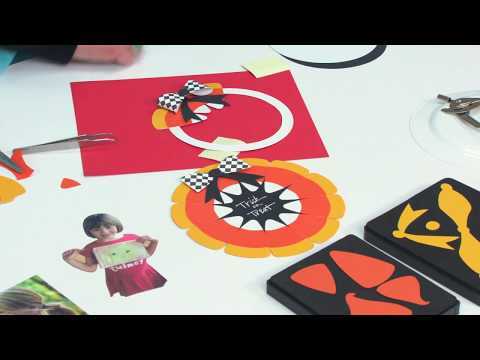 This project is a perfect tool for teaching at any grade level. 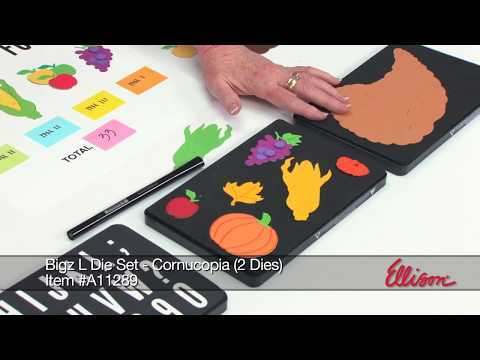 Grade Level: K–2, 3–5 Curriculum: English Language Arts Supplies Used: Bigz Die Set- Fall/Winter (4 Dies) Item #A11288, Bigz Die-Mitten #3 Item #A11275 Other Supplies Used: Adhesive, Black pen or marker, Cardstock or construction paper, Colored markers, Scissors Standards: This lesson plan was brought to you by the Ellison Education Team. Don’t miss out on any updates! Blog: http://www.ellisoneducation.com/blog Facebook: https://www.facebook.com/EllisonEduca... Pinterest: https://www.pinterest.com/ellisonedu/ YouTube: https://www.youtube.com/user/ellison Instagram: https://www.instagram.com/ellisonedu/ Twitter: https://twitter.com/Ellison_us English Language Arts-Language-Kindergarten Vocabulary Acquisition and Use: CCSS.ELA-Literacy.L.K.5.B Demonstrate understanding of frequently occurring verbs and adjectives by relating them to their opposites (antonyms). Source: corestandards.org/ELA-Literacy/L/K/ Since 1977, Ellison Educational Equipment, Inc. has been the recognized global leader of shape-cutting machines, curriculum-based designs and accessories for the education market. The company was founded by an educator and has built its reputation developing high-quality, reliable products that reinforce innovative teaching principles to address all subjects for grades K-12. From memorable bulletin boards, report covers and manipulatives to reinforcing games, flash cards and lessons plans, Ellison shapes education in many profound ways. https://www.ellisoneducation.com/12211/paws-here-door-decor Paws Here Door Décor Lesson #12211 Let’s get creative with classroom door décor. Paws Here Door Décor is a fun craft it's a way for both students and teachers to get creative with creating their own paw. 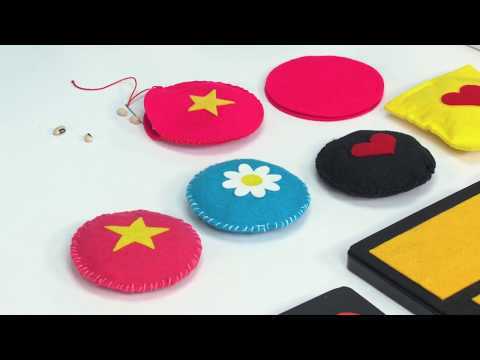 Take classroom decorations to a new level and try this great craft. Grade Level: Pre-K, K–2, 3–5 Curriculum: Fine Arts & Visual Arts Supplies Used: Bigz Die- Paw Print Item #A11278, Allstar Capital Letters Item #A10225 Other Supplies Used: Adhesive, Black or white pens, Cardstock or construction paper, Scissors Standards: This lesson plan was brought to you by the Ellison Education Team. Don’t miss out on any updates! Blog: http://www.ellisoneducation.com/blog Facebook: https://www.facebook.com/EllisonEduca... Pinterest: https://www.pinterest.com/ellisonedu/ YouTube: https://www.youtube.com/user/ellison Instagram: https://www.instagram.com/ellisonedu/ Twitter: https://twitter.com/Ellison_us Fine Arts-Visual Arts NA-VA.K-4.5 Reflecting Upon and Assessing the Characteristics and Merits of Their Work and the Work of Others Achievement Standard: Students understand there are various purposes for creating works of visual art Source: educationworld.com Since 1977, Ellison Educational Equipment, Inc. has been the recognized global leader of shape-cutting machines, curriculum-based designs and accessories for the education market. The company was founded by an educator and has built its reputation developing high-quality, reliable products that reinforce innovative teaching principles to address all subjects for grades K-12. From memorable bulletin boards, report covers and manipulatives to reinforcing games, flash cards and lessons plans, Ellison shapes education in many profound ways. Celebrate A Special Day In Class With This Reusable Birthday Banner! 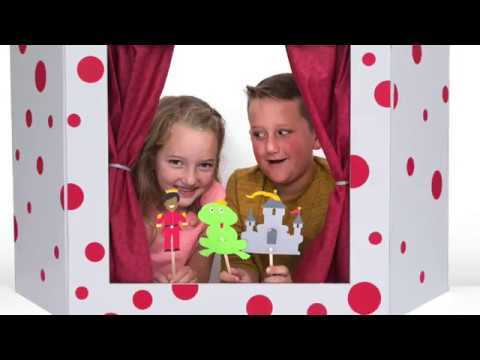 https://www.ellisoneducation.com/12210/happy-birthday-banner Birthday Door Décor Lesson #12210 Let's celebrate together and create the perfect birthday decoration with your students. This birthday banner is fun and easy to create. 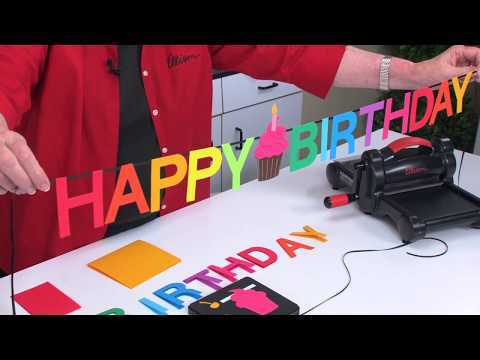 Birthdays only come once a year let's make it special by creating this wonderful happy birthday banner! Grade Level: Pre-K, K–2, 3–5, 6–8 Curriculum: Fine Arts & Visual Arts Supplies Used: Bigz Die- Cupcake w/Candle & Cherry Item #A11269, SureCut Block Capital Letters-3 Inch Item #19557-3 IN Other Supplies Used: : Adhesive, Cardstock or construction paper, Cord, twine or ribbon, Crayons, colored markers or pens, Scissors, Tape Standards: This lesson plan was brought to you by the Ellison Education Team. Don’t miss out on any updates! Blog: http://www.ellisoneducation.com/blog Facebook: https://www.facebook.com/EllisonEduca... Pinterest: https://www.pinterest.com/ellisonedu/ YouTube: https://www.youtube.com/user/ellison Instagram: https://www.instagram.com/ellisonedu/ Twitter: https://twitter.com/Ellison_us Fine Arts-Visual Arts NA-VA.K-4.5 Reflecting Upon and Assessing the Characteristics and Merits of Their Work and the Work of Others Achievement Standard: Students understand there are various purposes for creating works of visual art Source: educationworld.com Since 1977, Ellison Educational Equipment, Inc. has been the recognized global leader of shape-cutting machines, curriculum-based designs and accessories for the education market. The company was founded by an educator and has built its reputation developing high-quality, reliable products that reinforce innovative teaching principles to address all subjects for grades K-12. From memorable bulletin boards, report covers and manipulatives to reinforcing games, flash cards and lessons plans, Ellison shapes education in many profound ways. 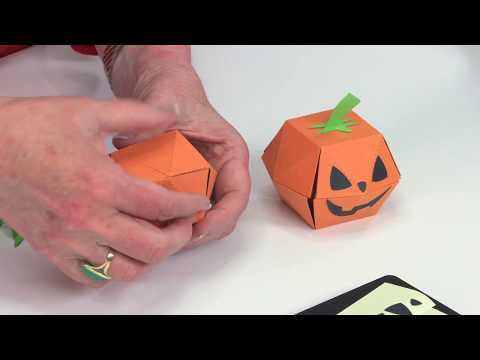 https://www.ellisoneducation.com/12209/3-d-pumpkin 3-D Pumpkin Lesson #12209 Let’s have some seasonal fun and have your students create their very own 3 dimensional Pumpkin! This craft is perfect for the fall, and Halloween. Students will definitely enjoy creating there own fun Pumpkins. Grade Level: 3–5, 6–8, 9–12 Curriculum: Fine Art & Visual Arts Science, Technology & Engineering Supplies Used: Bigz L Die- Pumpkin, 3-D Item #A11282 Other Supplies Used: Adhesive tape (or any strong adhesive), Cardstock, Crayons, colored markers or pens, Rubber bands Standards: This lesson plan was brought to you by the Ellison Education Team. Don’t miss out on any updates! Blog: http://www.ellisoneducation.com/blog Facebook: https://www.facebook.com/EllisonEduca... Pinterest: https://www.pinterest.com/ellisonedu/ YouTube: https://www.youtube.com/user/ellison Instagram: https://www.instagram.com/ellisonedu/ Twitter: https://twitter.com/Ellison_us Fine Arts-Visual Arts NA-VA.K-4.2 Using Knowledge of Structures and Functions Achievement Standard: Students use visual structures and functions of art to communicate ideas Source: educationworld.com Science, Technology & Engineering Science and Technology and Engineering Education 3.4 Technology and Engineering Education 3.4.C Technology and Engineering Design Pennsylvania’s public schools shall teach, challenge and support every student to realize his or her maximum potential and to acquire the knowledge and skills needed to: 1 Design Attributes 3.4.4.C1 Understand that there is no perfect design. 3.4.6.C1 Recognize that requirements for a design include such factors as the desired elements and features of a product or system or the limits that are placed on the design. 2 Engineering Design 3.4.4.C2 Describe the engineering design process: Define a problem. Generate ideas. Select a solution and test it. Make the item. Evaluate the item. Communicate the solution with others. Present the results. Source: http://static.pdesas.org/content/documents/Academic_Standards_for_Science_and_Technology_and_Engineering_Education_(Elementary).pdf Since 1977, Ellison Educational Equipment, Inc. has been the recognized global leader of shape-cutting machines, curriculum-based designs and accessories for the education market. The company was founded by an educator and has built its reputation developing high-quality, reliable products that reinforce innovative teaching principles to address all subjects for grades K-12. From memorable bulletin boards, report covers and manipulatives to reinforcing games, flash cards and lessons plans, Ellison shapes education in many profound ways.